It’s certainly not an easy task to catch a swordfish in Zanzibar but if you want to stand a chance of catching this desirable fish then you’re best chance is in the fishing village of Kizimkazi. This fishing village is well equipped with numerous fishing boats that you can rent from the beach and it’s made its name as a peaceful fishing village. Zanazibar is the type of country that offers really superb tropical surroundings, and the idyllic village of Kizimkazi i built for peaceful fishing adventures. Many individuals will set sail from Kizimkazi and there are plenty of lodges to stay at once your day is completely. 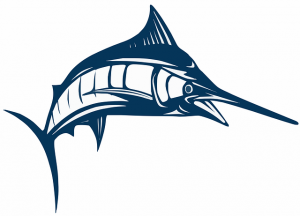 You can take your own guide out with you if you want to stand the best chance of catching a swordfish, and with the experience of a local guide you’ll certainly have the advantage. Just don’t forget your camera because this big game animal is not one you can hold on to long, so have a friend and a camera at the ready when you lift this giant out the water.